If you know you want to study Political Science at the undergraduate or graduate level, it is probably in your best interest to attend a university known and respected for its Political Science department. But with thousands of colleges and universities in the United States, where do you even begin? Here are some interesting statistics and helpful hints to guarantee you find your dream college at which to study Political Science in the US! 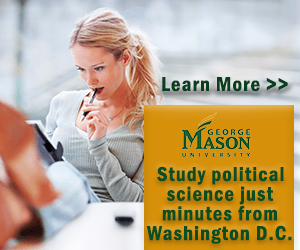 Most major universities offer an undergraduate Political Science major and many have extremely strong programs. However, every year, US News and World Report releases their comprehensive National College Rankings, listing the best universities in the country. Harvard University and Princeton University tied for the top spot in the National University rankings in 2011. Rounding off the top ten highest nationally ranked universities were Yale University, Columbia University, University of Chicago, Massachusetts Institute of Technology (MIT), Stanford University, Duke University, University of Pennsylvania, and California Institute of Technology. Yet, it would be unwise for the international student to look only at the National College Rankings. At most universities, the Political Science major falls under the umbrella of the Liberal Arts or Humanities department. Therefore, schools with a strong Liberal Arts focus are also formidable options for the international student who wants to study Political Science in the US. Excellent Liberal Arts colleges include Williams College, Amherst	College, Swarthmore	College, Pomona College, Middlebury	College, Wellesley College, and Bowdoin College. Graduate students who study Political Science in the US are studying to get their Masters Degree or doctorate. Earning a Masters Degree in Political Science can make students more competitive in the working world and when applying to law or research schools. A PhD in Political Science is a solid route for would-be educators or academics who want to pursue careers as political scientists. According to US News and World Report's 2009 list, Harvard	University, Stanford University, and Princeton University	are the highest-ranked universities for their graduate Political Science programs. Also on the list were the University of Michigan—Ann Arbor, Yale University, University	of California—Berkeley, Columbia University, University of California—San Diego, Duke University, and Massachusetts Institute of Technology (MIT). While national rankings, "top ten" lists, and prestigious titles like "the Ivies" carry a lot of weight during the application process, be sure to keep in mind that you are looking for the best school for you, not just the best-ranked school overall. Many students apply to or enroll in colleges because they are highly ranked or prestigious, or even out of loyalty to family members who may have attended the same institution. However, at the end of the day, international students need to keep in mind that this is their experience, and find the university that will provide them with the most rewarding one! One of the primary factors to take in to account when determining which school you would like to attend is "location, location, location." The real estate slogan is definitely something an international student should consider when deciding on colleges to study political science in the US, but whichever locale you choose is all about personal preference. A winter in Southern California is drastically more temperate than a winter in Boston, but if you've lived in a warm climate all of your life, you may relish the opportunity to play in the snow for a few months! If you are used to the hustle and bustle of a big city, then a college in a small town might either bore you with its slower pace or inspire you with a change of scenery. Location is predominantly about personal preference. Yet, the location of a university isn't just a factor of your day-to-day happiness; a school's locale can help students gain an early leg up in their desired career field. If you know, for example, that you aspire to study political science and work for the federal government, a university in Washington, D.C. such as Georgetown University or Claremont McKenna College, might be advantageous. If you're interested in municipal government, it might be best to work in a city where you can land a job or internship in the mayor's office. You can find a college that suits your climatic and geographic needs while furthering your career!